Proof that excellence does come in small sizes, the Savio Compact Skimmerfilter® is based on the best-selling Savio Skimmerfilter®. Reducing pond maintenance, while blending with the surrounding landscape, the Compact Skimmerfilter® collects debris, clears water, and hides unsightly pumps. This mighty skimmer delivers dynamic multi-stage filtration for smaller ponds and water features, providing a complete filtration system for ponds up to 700 gallons, and a skimming solution for ponds up to 2,500 gallons. Like its larger predecessor, it combines four types of filtration for optimal water quality: skimming, mechanical, biological, and UV filtration. 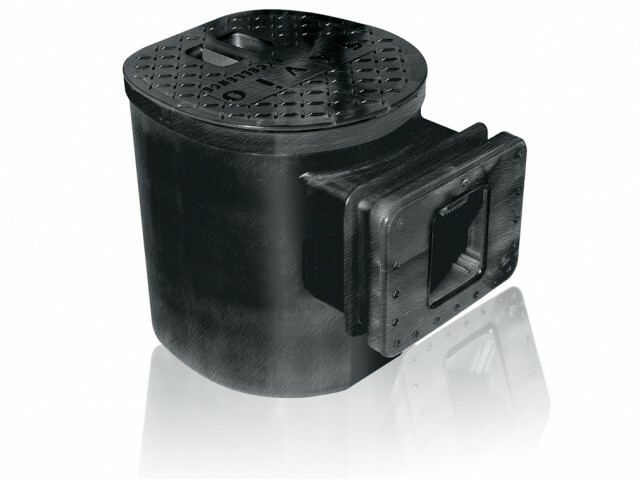 Although compact in size compared to the larger Skimmerfilter®, it still boasts the same durable, injection-molded housing that has won the acclaim of landscape professionals everywhere. Like the Skimmerfilter®, this all-in-one approach eliminates the need for extra plumbing and equipment, while reducing plumbing.